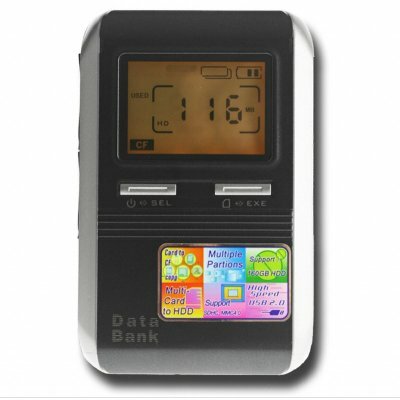 Successfully Added Data Storage HDD Enclosure - Multi Card Reader to your Shopping Cart. High Capacity data storage device, with the ability to read and copy files from up to 9 different memory cards. This is a perfect tool for someone on the move who needs to constantly save data, including photographers, businessmen, and more. It can take IDE hard disks of up to 160GBs for a massive amount of storage potential, which can also be multi-partitioned in 30GB segments to keep all of your data safe. Make data storage a snap with Chinavasions low price HDD data storage device. Note: This product is not sold with a Hard Disk included. You will need to purchase a hard disk separately. Also please remember to format your Hard disk to the HDD enclosure, or they will not work together. This item is not compatible with NTFS file systems. Please select FAT32 while formatting the hard disk..